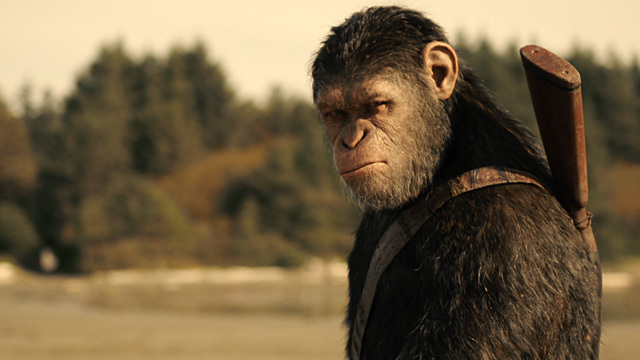 In a summer that's already showing fatigue for franchises like Transformers and Pirates of the Caribbean, no one thought that the third in the rebooted Planet of the Apes might be looking at the same fate. With great early reception from critics across the board and a Rotten Tomatoes score that currently sits at 81 percent, the simian flu should have sparked another breakout at the box office. However, early reports from Variety and other sources are showing that War for the Planet of the Apes is tracking low for its opening weekend of July 14th. Silly human. Ape not care for money. Banana only. Current estimates have the film hitting somewhere between $55 and $65 million over the course of the three day weekend. Considering the second in the franchise opened to over $72 million, this may show some signs of weakness for the franchise as a whole. With the last two films receiving praise from fans and critics alike, it's rather shocking that interest might be waning in the series. With Peter Parker's latest adventure hitting the weekend before, this might be the chink in the ape's armor. We shall see what happens.